If you are the type of person who wants to include layers of meaning and symbolism in your wedding flowers instead of just picking whatever looks good, then consider choosing your wedding flowers by month. Just as each month is associated with a gem stone, each month has its own type of flower as well. You could use the flowers for the month of your ceremony, the bride and/or groom's birth month, or the month in which you met or got engaged. January's flower is the carnation. Carnations are traditional flowers that come in all sorts of colors: pink, white, red, yellow, orange, and green. They can be a single solid color, tinted with two colors, or edged with a "frosted" look. 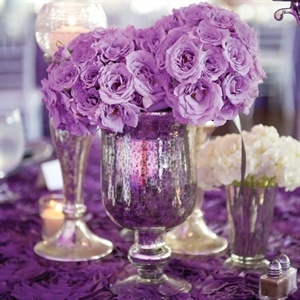 Carnations are inexpensive flowers that are easily available year-round. February's flower is the violet. Traditionally, violets are purple, but other varieties of violets can be pink or white. The violet blossom has a distinctively feminine shape that makes it immediately recognizable from other types of wedding flowers. March's flower is the daffodil. 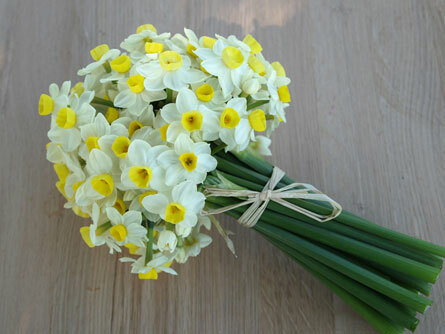 The sunny yellow color of daffodils and the prominent trumpet-shaped bloom make this flower a springtime favorite. They are in bloom from the late fall to the spring months. April's flower is the daisy. Daisies are a very versatile flower, with a yellow center and petals ranging from the traditional white to a very striking magenta color. Daisies are inexpensive and available year-round. May's flower is the lily of the valley. Lilies of the valley make great "filler" for wedding bouquets because of their delicate bell-shaped blooms on a slender stem. Traditionally they come in white, but pink varieties are also bred as well. June's flower is the rose. Roses are a mainstay for weddings, mainly because of their reputation as the most romantic flower. They are available all year round, have a lovely fragrance, and come in almost any color imaginable from white to purple. Each color of rose has a well-known meaning, such as red for love, yellow for friendship, and white for innocence. July's flower is the water lily. Water lilies are known for their tessellating pattern of triangular petals. The blossoms are usually white, but they can also be red, lavender, pink, or purple. Water lilies look stunning as part of a wedding bouquet or floating in a glass bowl of water as a table centerpiece. August's flower is the gladiolus. They aren't often seen in wedding bouquets, making them a unique and unconventional choice. Their thin, silky blossoms on a thick stem are generally fringed or ruffled. They can be white, pink, orange yellow, purple, or a combination of two colors. They are very fragrant flowers and are sometimes known for allergic reactions - so choose with caution! September's flower is the aster. Asters look quite similar to daisies (but with a stronger, more defined petal structure) and are usually used in wedding bouquets in combination with other types of flowers. They are grown in season from summer through the fall, and have a fragrant bloom. They can be white, pink, orange, yellow, red, or purple. October's flower is the cosmos, which comes from a Latin word meaning "beautiful." The dainty flowers are available from summer to fall, are very fragrant, and preserve well when dried. November's flower is the chrysanthemum, or just "mum" for short. They are grown year-round and are close relatives of the daisy. The big blooms with dozens of individual oval-shaped petals look rich and luxurious, especially when part of a large bridal bouquet or wedding floral arrangement. December's flowers are narcissus. Narcissus look similar to daffodils and are in bloom from fall to spring. Sometimes they are called "jonquils." Alternately, holly flowers can also be used in wedding bouquets to symbolize December. Their pointy red blooms are very distinctive and affordable during the Christmas season. This symbolism can help brides make a decision about the type of wedding flowers they want to use in their bridal bouquets, brides maid bouquet, wedding table decorations, and the overall wedding décor. 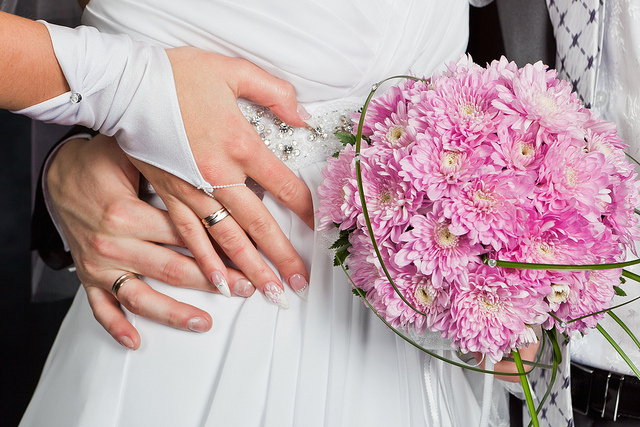 When selecting a type of wedding flower, just make sure to check out all the available hues of a flower - the same blossom can look drastically different in one color versus another. 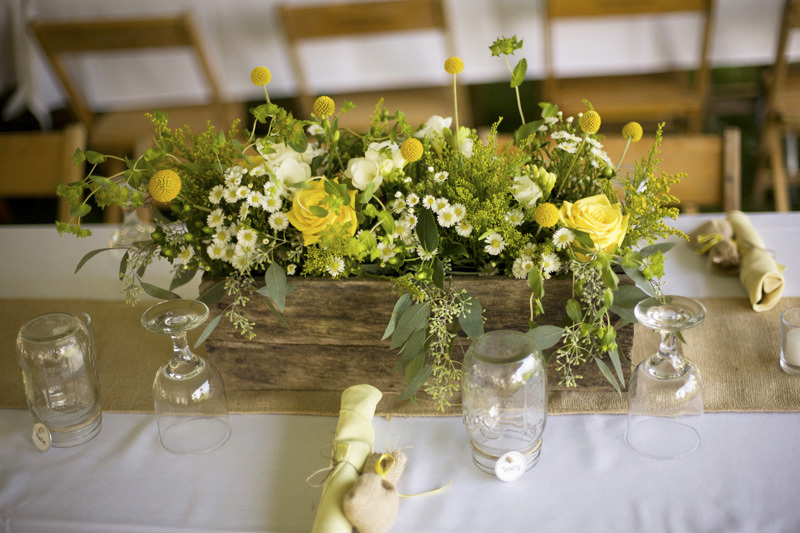 Find a good professional wedding florist to help you along the way in selecting flower, or find a friend or family member that knows flowers and share this article with them for ideas, if you are a DIY Wedding type.